I got to read to Mrs. Scier’s first grade class yesterday morning at Memorial School as part of the Read Across America celebration of Dr, Seuss’ birthday. 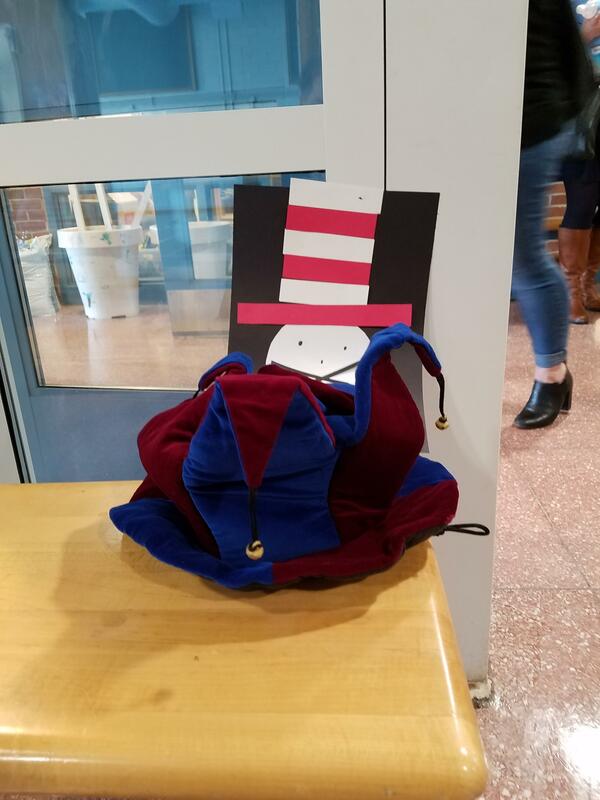 To have me read, the children first have to vote on the right reading hat, and this year they chose the jester hat shown in the photo. The cat in the hat card was made by the kids.